To remove barriers and help people believe in the great unrealized potential of their life and achieve true happiness. To never settle, to help people learn to #SOAR. 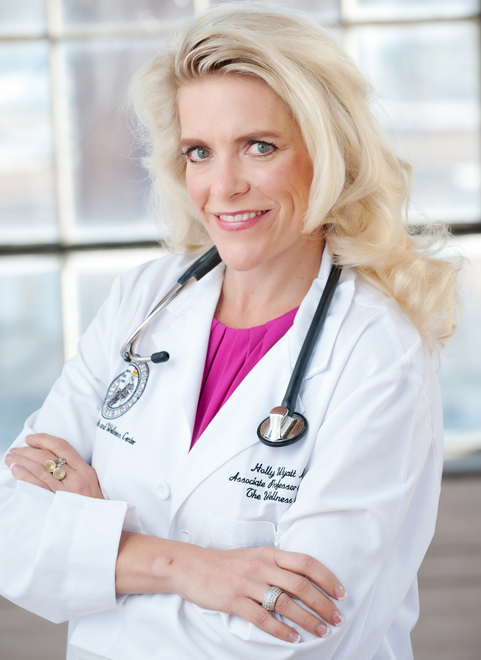 Dr. Holly earned her medical degree from Baylor College of Medicine in Houston, Texas, and completed her internal medicine and endocrinology training at the University of Colorado. She has been involved in the field of obesity, weight management and metabolism her entire career and personally struggled with her weight and maintaining a reduced healthy body weight earlier in her life. She is a practicing physician and clinical researcher at the Anschutz Health and Wellness Center (AHWC), Aurora, Colorado, and is the co-founder and medical director for The State of Slim a transformative weight loss program that specializes in long-term strategies for weight loss and transforming your life. Dr. Holly has more than 20 years of clinical experience in weight reduction using behavioral treatment, dietary therapy, physical activity interventions, weight loss medications, and surgery. She was the medical director for seasons four and five of ABC’s TV show Extreme Weight Loss. Dr. Holly has spent much of her research career following more than 10,000 “successful losers” in the National Weight Control Registry to investigate what makes people successful during their weight loss journey. She also has investigated the reasons why Colorado is the leanest state in the nation. Her passion for and expertise in helping obese individuals successfully transform their bodies, minds, and lifestyles has made her a popular clinician, speaker, and obesity educator. She believes everyone can achieve a healthier, happier and more fulfilled life and uses weight reduction as the starting point for much bigger life transformations. She shares much of what she has learned in her book State of Slim, co-authored by James O. Hill, PhD. and is co-founder and manager of Shakabuku LLC, a company whose mission is to remove barriers to bring out everyone’s inherent greatness. Shakabuku LLC brings State of Slim programs, products and services to organizations, groups and individuals across the country. To use science to help people achieve lifestyles that maximize health and happiness. To create a community of people who have aligned their lifestyles with their life purpose and values. 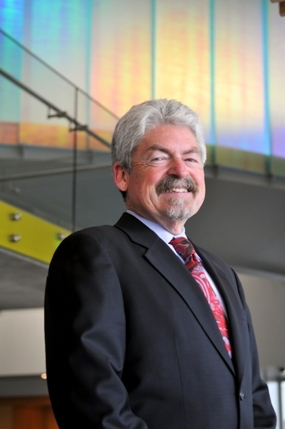 Dr. Hill is an internationally recognized leader in weight management. He has a Ph.D. from the University of New Hampshire in physiological psychology. Dr. Hill has spent the past 35 years conducting research to understand why obesity develops and how it can be prevented and treated. He has passion for both conducting research and for translating results into initiatives and programs that help people in the community. He has published over 600 scientific articles and speaks all over the world about his research. He was a co-founder of America On the Move and a co-founder of the National Weight Control Registry. Dr. Hill has collaborated with Dr. Holly Wyatt to develop programs to help people lose weight and keep it off. Their book State of Slim, published in 2013 changed the way we think about weight management. This book described how it is necessary to experience a transformation in order to achieve the mindset needed to keep weight off permanently. Together with Drs. Holly Wyatt and John Peters, he created Shakabuku, a LLC established to bring the State of Slim program to people across the globe. Dr. Hill believes that the State of Slim program can help people achieve success, not just with their weight, but in all aspects of their lives. He is committed to making this program available to people regardless of where they live. He is also committed to fostering a virtual community of people who have transformed their lives through State of Slim and want to work together to change the world to one where living in the State of Slim is the norm.